BYD Daimler New Technology Co., Ltd. (BDNT) officially unveiled its DENZA all-electric vehicle at Auto China 2014, in Beijing. The world premiere of the serial production model is the culmination of cooperative efforts at the 50:50 R&D technology joint venture established by Daimler and BYD back in 2010 – the first Sino-German joint venture dedicated to an all-electric vehicle in China. Combining Daimler’s renowned tradition and engineering expertise as a worldwide leader in safety technology and quality excellence with BYD’s leading battery technology, DENZA is styled as an honest and modern urban vehicle concept that fits both private and fleet customers. DENZA has been designed around its lithium iron phosphate battery which is framed by a lightweight aluminium case with extrusion profiles. Designed to absorb large amounts of energy, it is located at the safest place in the car - underneath the body. The layout also ensures that all powertrain components are separated from the passenger compartment. Additionally, DENZA’s intelligent Power Flow Management System constantly monitors the energy flow between the battery and powertrain to guarantee that, in the event of an accident, the battery is disconnected automatically and, if needed, quickly discharges to levels below critical values. 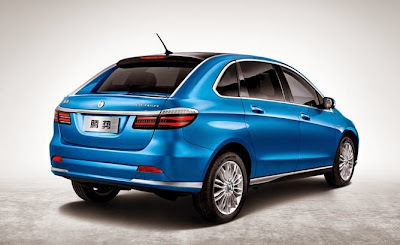 The DENZA has been put through 18 months of intensive testing that saw various cars drive over 1.2 million kilometres across all of China under extreme and various weather and road conditions – be it hot, cold, dusty or icy. This testing program, which looked at overall quality and endurance, was complemented by additional component testing and crash test programs. In total, BDNT crashed more than 20 cars, including high-speed, low-speed and rollover-scenarios. DENZA also became the first electric vehicle to be tested according to C-NCAP consumer ratings at C-NCAP facilities, obtaining the highest possible rating of 5 stars. 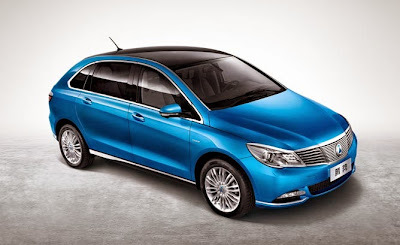 It goes without saying that the quality of the production is secured at a modern, independent production line in Shenzhen, following Daimler’s proven production philosophy and quality control methods. With a driving range of up to 300 kilometres, the DENZA offers the ease and convenience of emission free mobility for day-to-day use – in urban areas, and beyond. Charging the battery is highly flexible, as it can be done at any household power outlet, public charging facilities or special wall boxes. The latter of which can be installed at homes or in offices at the request of DENZA customers, guaranteeing fast charging, ranging from seven hours to less than an hour. With the DENZA app, available for both Android and iOS phones, wall box customers can even remotely check on their charging status and vehicle location using their smartphones and, if needed, get connected right away to a dealership or customer service centre. DENZA clearly aims to change mobility, but not the mobility behaviours of its customers. That is why, thanks to its luxury class level wheelbase, it can comfortably accommodate up to 5 passengers, with ample legroom and an inviting 460 litre trunk volume. The roominess of the interior is complemented by a clean, functional design and high craftsmanship. DENZA’s package is convincing, and so is its heart, the electric powertrain and battery technology. The vehicle is powered by an 86 kW (peak) all-electric engine that provides a maximum speed of up to 150 km/h and impressive peak torque, at 290 Nm. Together with its big 47.5 kWh battery capacity, and a convenient suspension, customers can rest assured that they can enjoy both maximum driving fun and comfort with a range of up to 300 km. In light of the fact that the average daily driving distance in China is 50 to 80 kilometres a day, the typical customer will only have to recharge DENZA twice a week. This bi-weekly pit stop will be met with joy as driving 100 km with a DENZA cost less than 20 RMB (2,35 EUR). All this classifies the DENZA as the perfect vehicle for day-to-day use – in urban areas, and beyond.